The most common cause of dental pain is a cavity. Most of us have been affected by the pain caused by a cavity or two in our teeth, at some time in our lives. Cavities are holes in the tooth caused by decay, which can eventually infect the nerve and cause substantial pain, especially with hot or cold food and drink. It is important to treat a cavity at the earliest possible stage, as a minor ache can quickly become a debilitating pain, leaving you unable to eat or sleep, and needing urgent dental treatment. 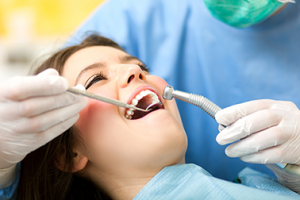 The first stage of treating a cavity is to visit your dentist who will examine your tooth. If a minor cavity is the cause, your dentist will clean the area to prevent further damage before filling the tooth to protect the nerve, allowing you to live your life pain free. For serious cavity issues we can use pulp capping if it is a deep hole or root canal treatment if the nerve is infected, allowing us to save damaged teeth. Some teeth can also be sealed as a prevention measure to reduce the chances of subsequent decay. Are you suffering from a cavity or dental pain? Don’t put off having that niggling pain checked, give us a call on 020 8748 4023 or email: team@rdpholistic.co.uk.